Chances are, you'll already have some useful plants for cutting in your beds and borders - shrubs with evergreen foliage, perennials from which you can cut some stems and bulbs which can make excellent cut flowers. Spring is an ideal time to take a look at your garden and make plans to introduce a few more plants that will look good in the garden as well as provide you with a few cut flowers for the house. 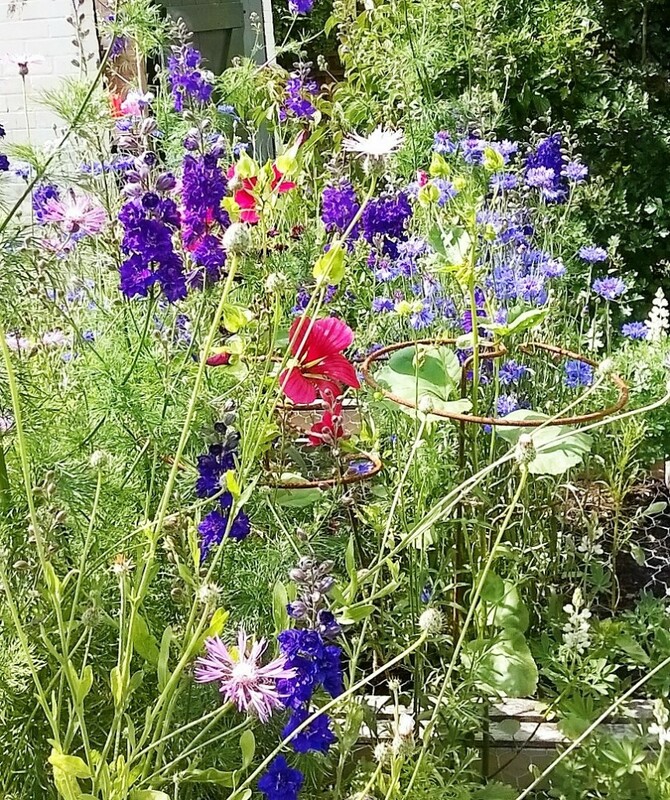 The key is to include plants with a wide range of flowering times, from early Spring bulbs, through to Autumn-flowering perennials, alongside evergreen shrubs for foliage to ensure there is something to cut throughout the year. You'll want to pack in groups of annuals, perennials and bulbs suited for cutting without affecting the overall appearance of the border. Bulbs are excellent for extending the picking season and can be packed into spaces under shrubs and between perennials. 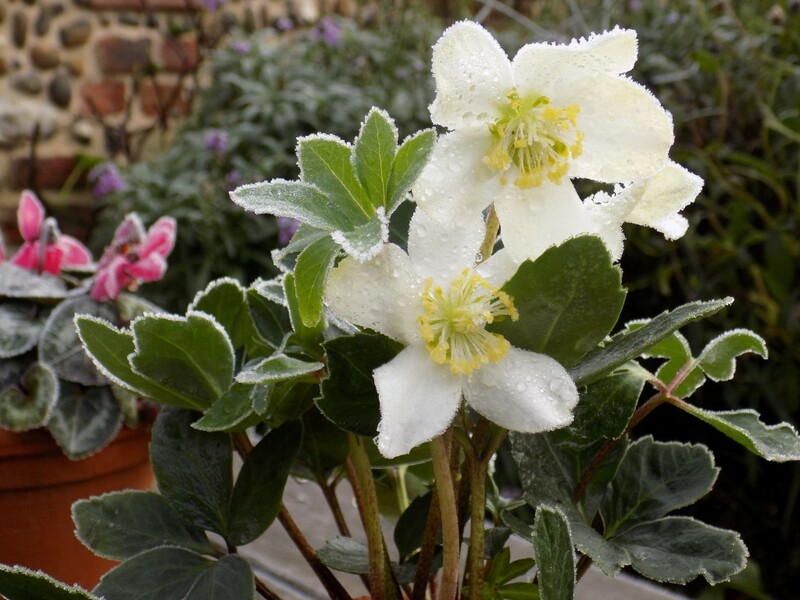 Make the most of any shady spots, planting Hellebores, Alchemilla or Astrantia which tolerate shade well. If you have space, dedicate a part of the garden to growing just cut flowers- raised beds are ideal. This avoids depleting beds and borders, as well as providing a more intensively productive area for the cut flower gardener. You can plant or sow in rows to make weeding, staking and picking easier. Pots are invaluable if you want to squeeze in more planting space. 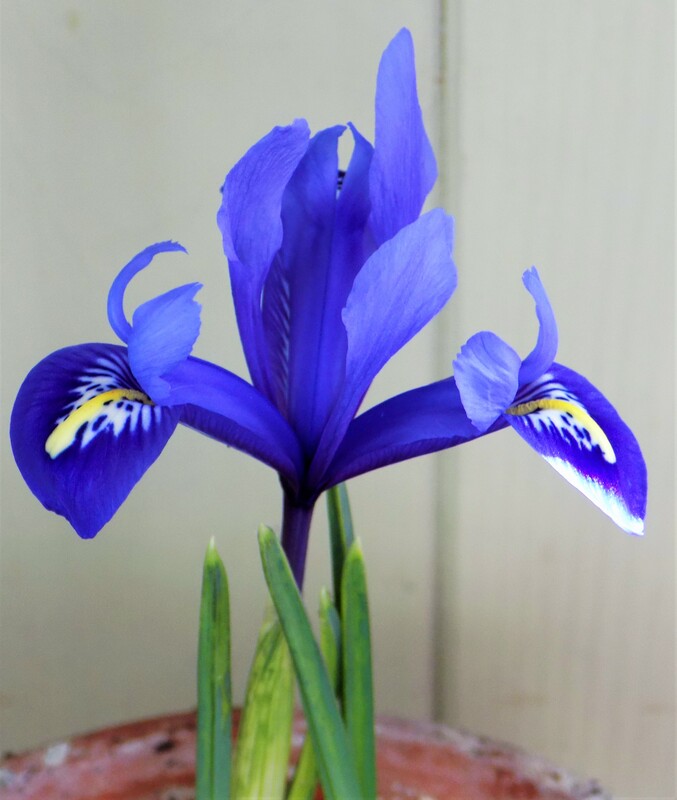 Bulbs do well in pots and when they have finished flowering, they can be moved out of sight while the foliage dies down. Creating a 'bulb lasagne', allows you to pack more bulbs in - plant big, late flowering bulbs at the bottom of the pot, cover with soil, add a layer of smaller bulbs which flower earlier and so on up the pot with the smallest and earliest flowering bulbs on the top layer. I grow some smaller varieties of Dahlia like 'Roxy' in pots for invaluable late season flowers and pots of herbs are great for using as Summer foliage - think Oregano, Lemon balm and mint. 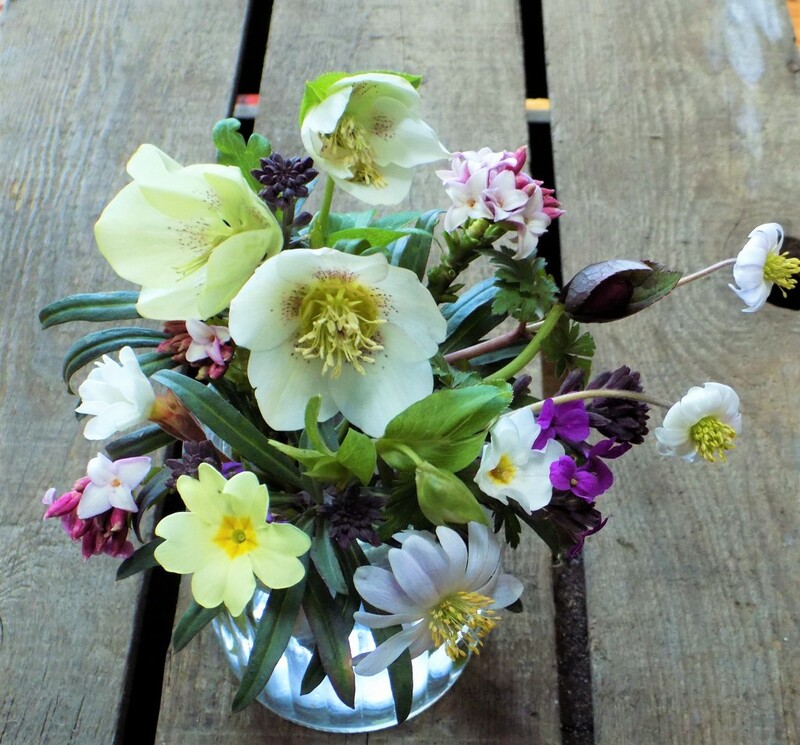 I often buy small pots of Spring flowers in bloom - Snowdrops Primroses, Hellebores, Anemone blanda & Primulas, from the local garden centre, which I transplant into terracotta pots and have in flower on the table in my courtyard. After flowering, I plant them into the garden borders. Buying a few each year is a good way to gradually increase the number of flowers for cutting in your garden. Consider planting a mixed hedge in place of a fence to increase opportunities for cutting. 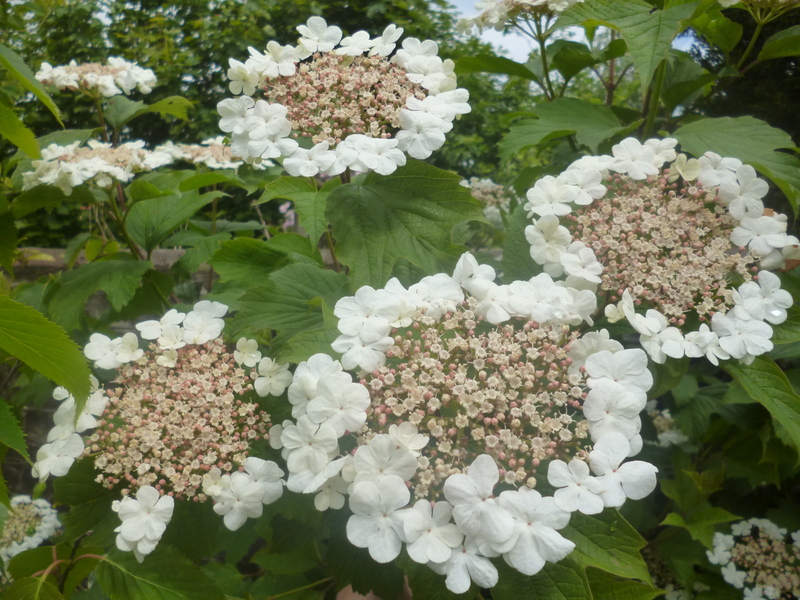 A mix of shrubs like Viburnum oplus, Hawthorn, Holly and Dog Roses will provide you with welcome blossom, flowers, foliage and berries at various times of the year. Grow climbers like Clematis or a rambling Rose through the hedge to further increase the number of flowers you can cut.